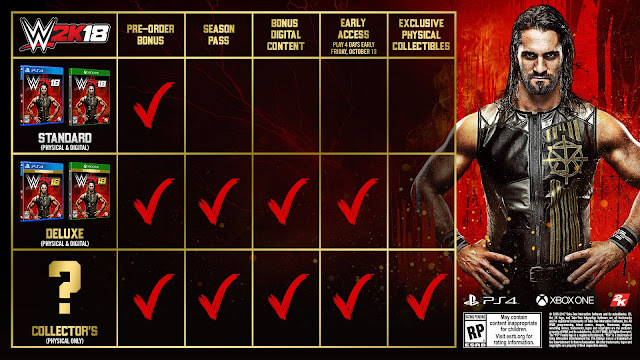 The release of the latest WWE game is something I look forward to every year, even when I have lovely followers who mock me for my love of play fighting with so-called sweaty men in underpants (these same people enjoy superheroes who wear tight fitting lycra, but I never judge them). I love both the drama and entertainment side of this thing we now call sports entertainment, but games in recent years have slowly seemed to come to a standstill when it comes bringing new things to the table. It's fair to say that WWE 2K games have been stuck in limbo for the past few releases while promising to improve in key areas, the game has just become somewhat of the FIFA version of wrestling games. As a fan of both the games and product though I'm always hopeful that this year will be the year they get everything right and make the game fans want to see. A blog post on the official website recently spoke about some of the features coming to 2K18, with popular YouTubers and influencers also doing a grand job of getting this information and making it so unclear what was revealed that it hurt my tiny little brain. So ignoring all the videos that made a total hash of this news, here are a few things I took from the blog post that peaked my interest. Fact One: WWE 2K18 will see a new commentary team this year, with King dropped and Corey Graves and Byron Saxton (can't be all good news) joining Michael Cole at the announcer's table. If this means not having to put up with Jerry Lawler telling Dad Jokes, I'm all for it. Would have preferred JR over Cole mind you. Fact Two: This year the game will also be seeing a brand new graphics engine which promises spectacular new lighting, more realistic skin and also new camera effects. If this means superstars and matches looking better than ever before then this can only be good news for the returning player. As with every WWE game release though we are yet to see any gameplay footage to see what this all means for the game, so I can't get too excited just yet. Fact Three: While last year had a great big hole in it thanks to Showcase mode missing, this year we at least get a new mode to play with. The Road to Glory Mode will give players the chance to take their My Player characters on a quest to qualify for WWE pay-per-view events against other players. No more information on this at the moment, but sounds promising. You can check out the full blog post with all the above facts and even more information I've not spoken about over on the official website by clicking here. 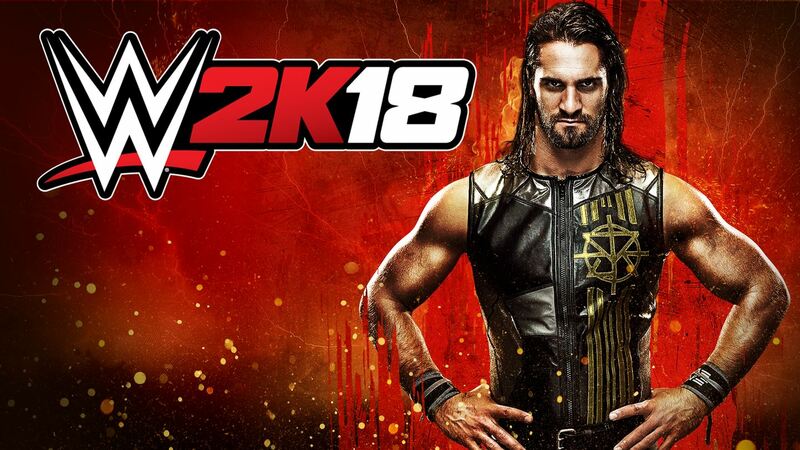 WWE 2K18 is set for release on October 17th with the standard edition, with the game also having Deluxe edition which gives you extra goodies like the season pass and also getting to play the game from October 13th. A Collector’s Edition is also coming, but no news on what physical extras this version will offer just yet.